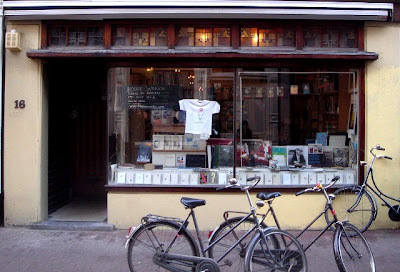 Cralan said: "Being a poet/writer in Amsterdam, I wanted to draw your attention to Boekie Woekie who carry the only availability to small press and literature in Amsterdam, carrying, for example all the Coracle books, Wild Hawthorn, actually too numerous and microscopic to mention. Boekie Woekie is a store which houses small press books, they have been open for 23 years, many artist books, many of which are works of art themselves. There are journals and literary magazines there from all over the world. There are also many books which are impossible to categorize, increasingly so as visual art and poetry continue to blur (publication) lines." Amsterdam is one of few European cities where an underground bookstore like this can hope to gain some support and recognition and probably the only city where it could thrive for almost a quarter of a century. Boekie Woekie bookstore was founded by six artists who found their living spaces to be increasingly occupied by books. As the legend goes, the bookstore was born in order to free some space in their apartments but they were also looking to promote their own books (the six of them had around 150 published titles). The shop officially opened on the 1st of January 1986 and for the following five years, the bookstore occupied a tiny room which could hold no more than two people and it only offered books by the six artists who had founded it. The beginning of the 1990s marked big changes in the bookstore's existence as three of the original owners along with one new partner decided to take things to the next level. This meant moving to a bigger place which enables the owners to stock about 8000 titles and also host small exhibitions. The main mission of this unique bookstore is to provide support and presentation space to self-published authors. The original idea behind the bookstore was to celebrate the love for art shared by the founders and so they decided to sell books only by artists. However, since art is a very subjective and personal matter, the stock of this bookstore reflects all its different forms and variations. In order to give an equal chance to every artist who brings his or her book to the store and also to make up for the lack of financial backing the bookstore uses the consignment sale system. Another thing that is specific for Boekie Woekie is that it has functioned as a traveling show on several occasions. Within the past 15 years the bookstore has had temporary branches in different cities around Europe. 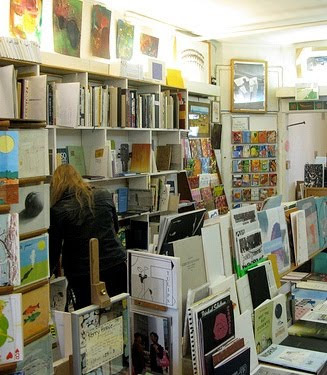 Throughout its whole existence the bookstore's owners held on to their complete independence and their ambition to offer an alternative to the mainstream world of art, which is too often ruled by money. Boekie Woekie is the ultimate proof that an independent bookstore defying all the business trends, market analyses and other managerial tools can survive even in the 21st century, thanks to the passion of the people who stand behind it.